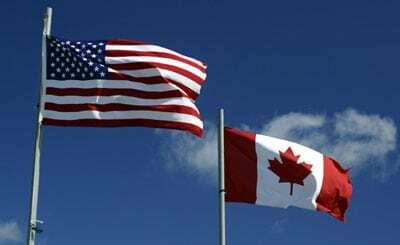 If you are a Canadian considering investing in U.S. real estate, there are a number of issues you face. The start with U.S./Canadian taxation and are followed by asset protection and predatory lenders. Each of these obstacles is easily overcome provided you implement the appropriate structure for your investments. U.S. real estate is at historical lows, which makes it a phenomenal investment but it can also be a tremendous liability. As an avid real estate investor and asset protection attorney, I meet many investors from North of the border who have taken advantage of the historically low U.S. real estate prices, but unknowingly made the 3 mistakes I mention above. Why? The answer is usually something like this: “the group I was working with to purchase real estate recommended I use John Doe to set up my asset protection structure. 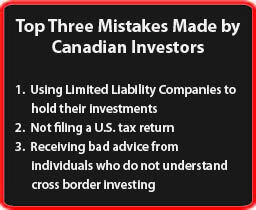 I assumed he knew what he was talking about, not to mention, he was recommended.” Having worked with thousands of investors to create asset protection plans, this problem is not Canadian specific but also plagues U.S. investors. The best way to protect against bad advice is to arm yourself with a basic understanding of asset protection tools and their tax implications. I always tell a prospective client that in my opinion, the best asset protection plan is one that considers the tax implications, asset protection benefits, and ongoing maintenance costs. I am sure you can understand my position. If you create a plan that provides great asset protection but increases your annual tax burden, while doubling your state filing fees coupled with added tax returns, you may begin to question the wisdom in putting your plan into action.